Rock spent 22 years serving our country in the United States Air Force. After retirement from the Armed Forces, Rock began a new career as a Legal Analyst with Pinnacle West Capital Corporation. Looking for a way to spend more time with his family and support his community, Rock joined his wife, Stacia at Meeker Real Estate Professionals as Operations Manager. 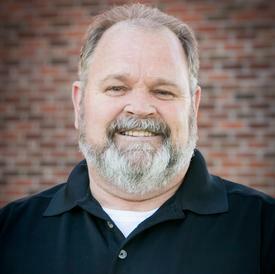 Rock also has a wealth of knowledge in IT support operations and has kept the office running at maximum efficiency since it opened in July of 2010. Rock is a licensed REALTOR® and operates as a utility player for the Meeker Real Estate Professionals team serving as an Agent, IT support, and Operations Manager. He is a jack of all trades.